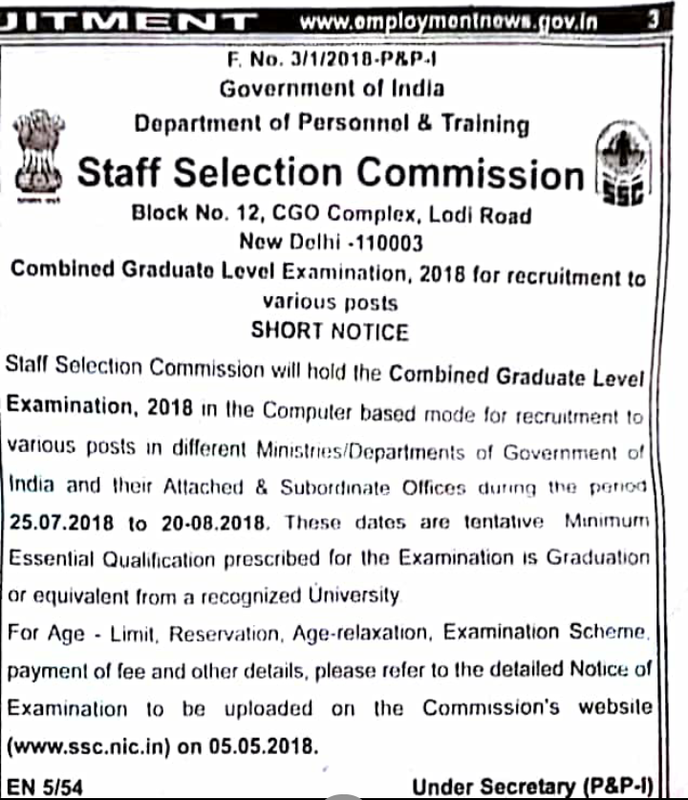 Hello Friends, SSC CGL 2018 Notification will very soon be published by SSC (05th May 2018). SSC has already Published a short notice regarding this in employment news. You may view the excerpt below. 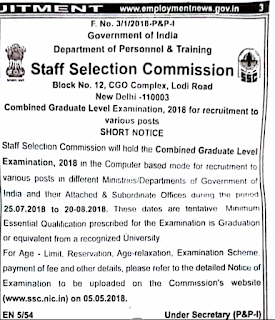 We will upload and share the notification and its highlights and important changes as soon as the notification is published by ssc official website.